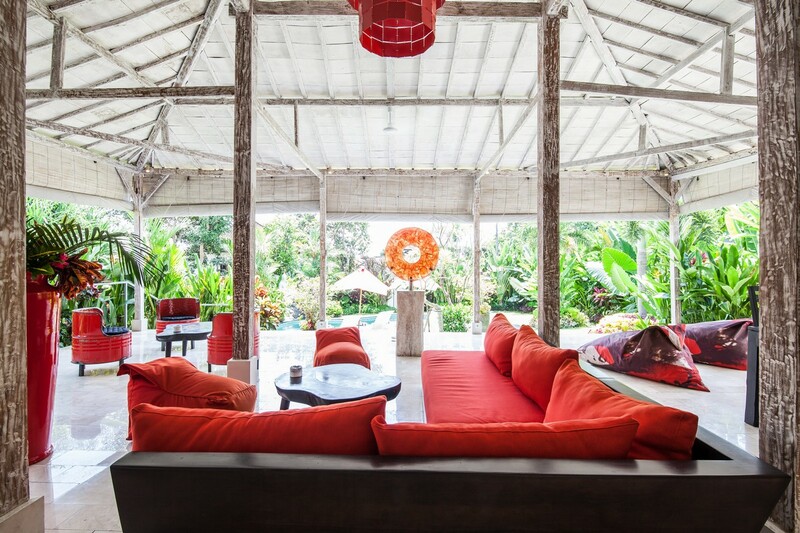 Feel home far from home. 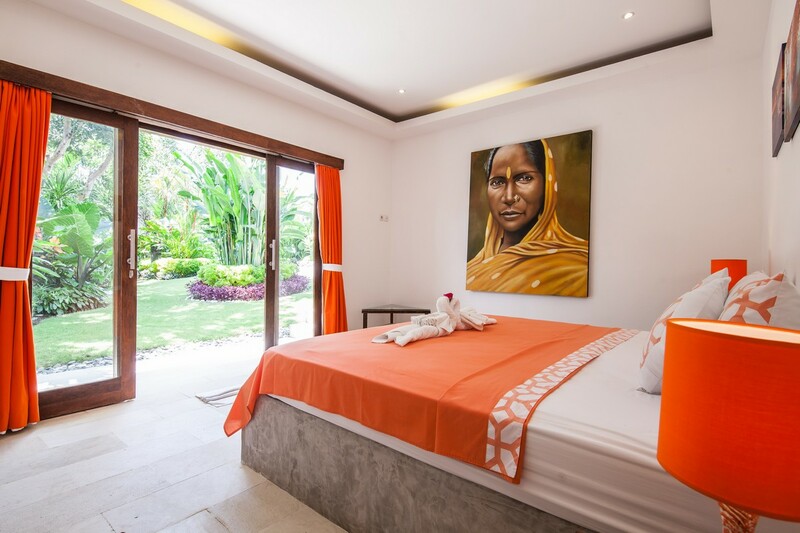 Exchange the culture and feel the total tranquility surrounded by authentic Balinese lifestyle we can offer. 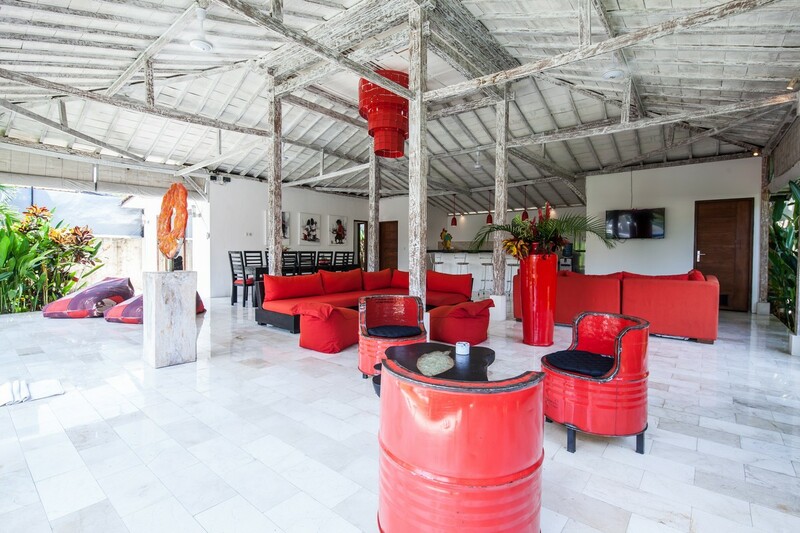 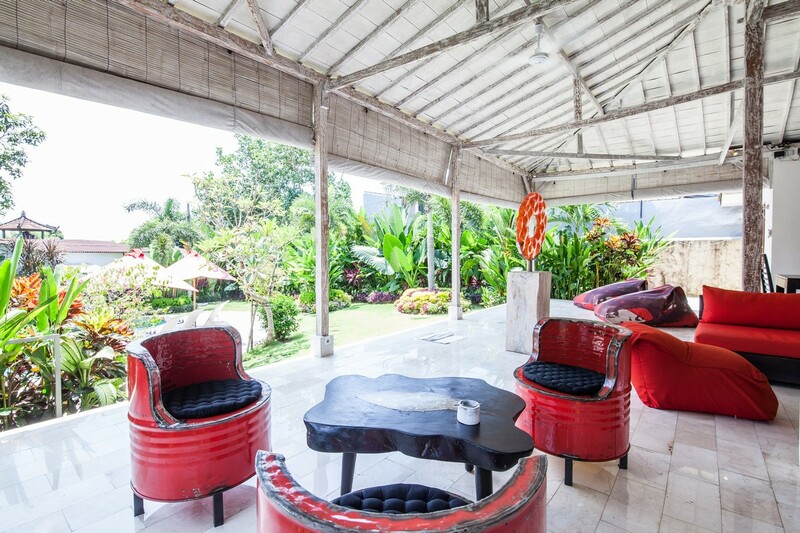 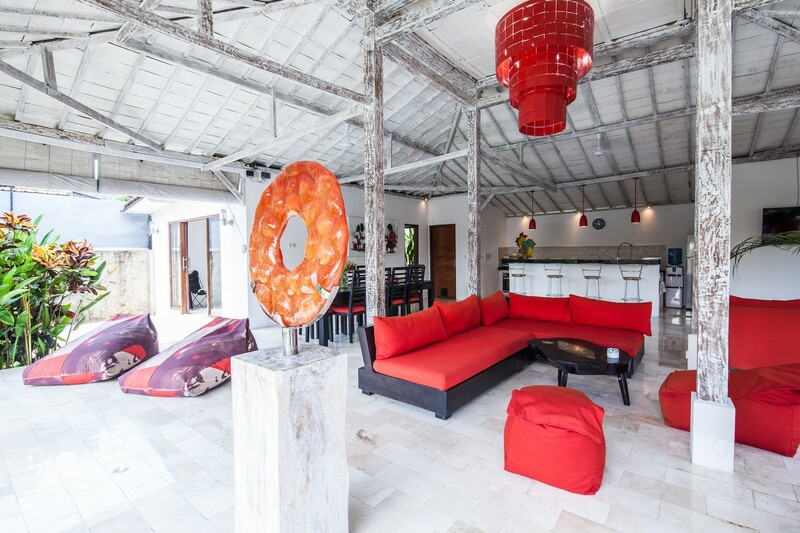 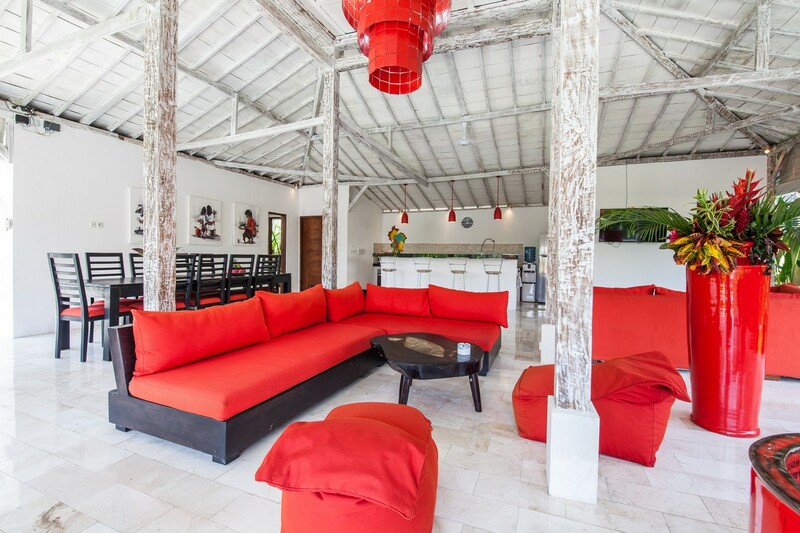 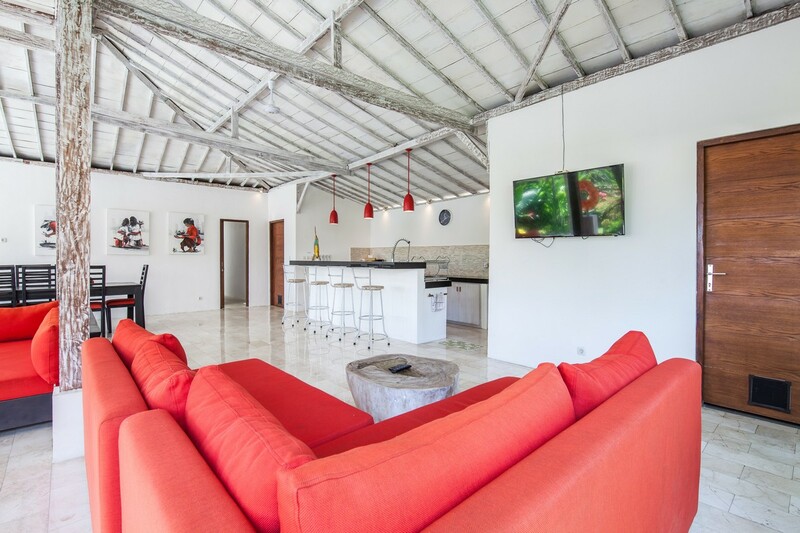 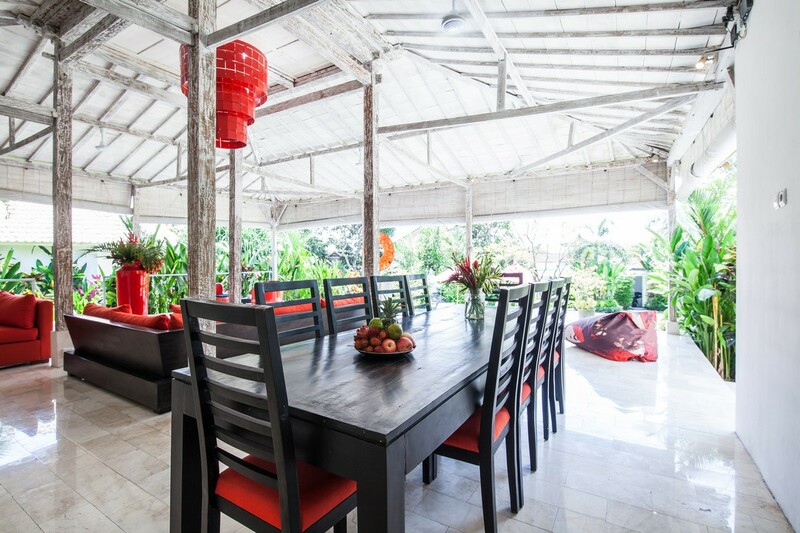 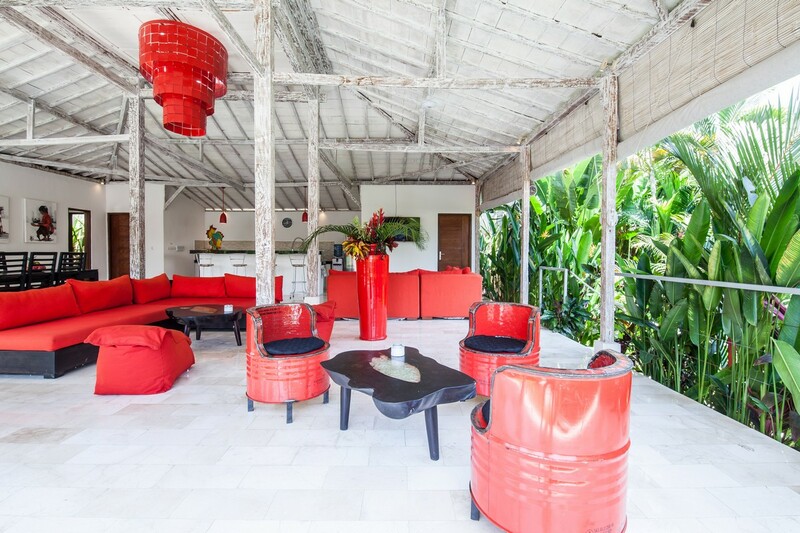 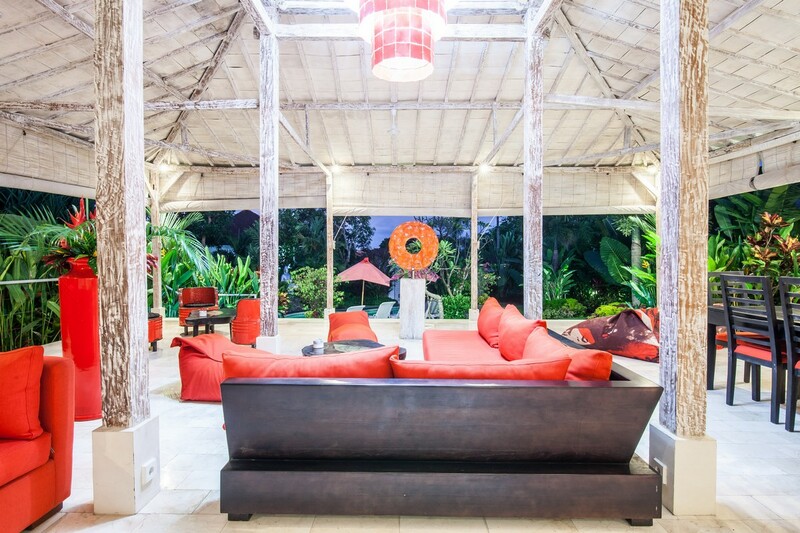 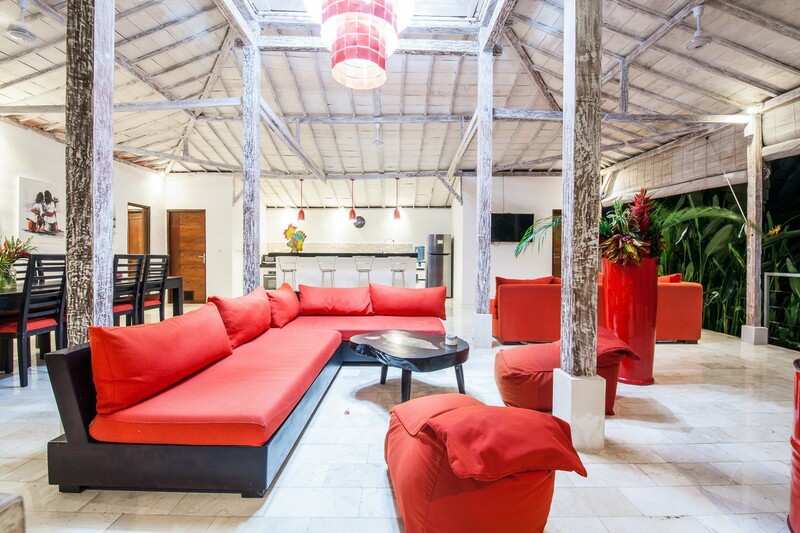 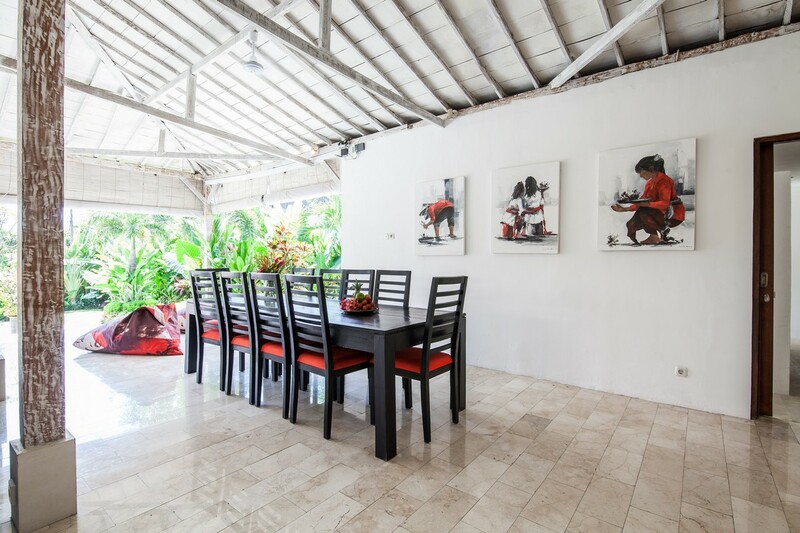 located still in the heart of Canggu, second famous destination for its hipster, culture town where surf spots, rice paddy, organic markets, from traditional into fine dining eatery place , we have them in such affordable and friendly ambiance. 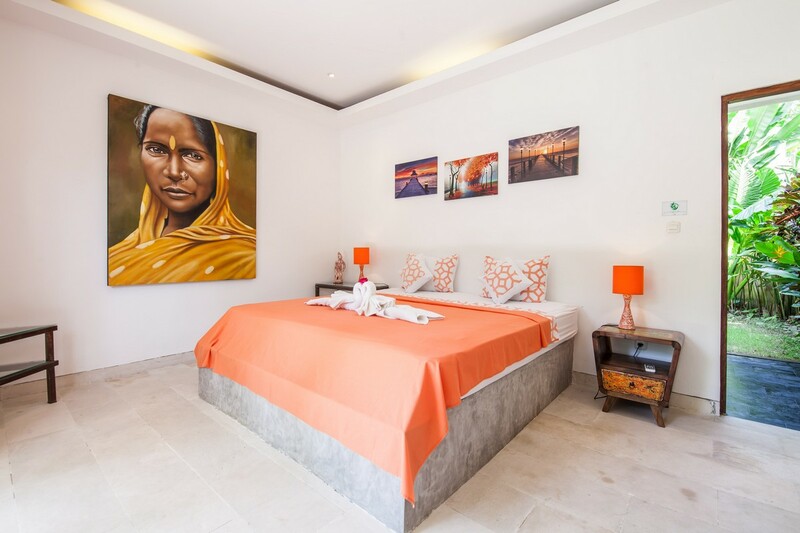 Be local and stay with local. 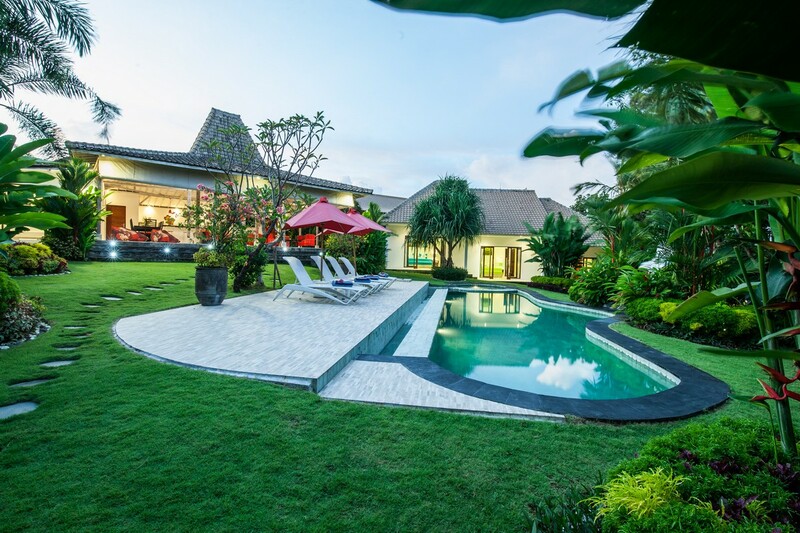 enjoy the luxury holiday with affordable price only in Rumah Dago. 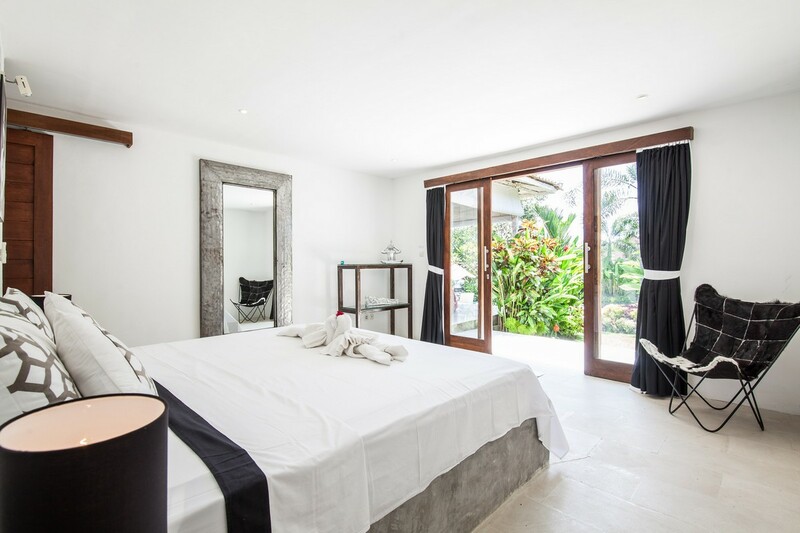 Only 40 minutes from the airport you already arrive in your holiday home and minutes away where beach and sun awaits you. 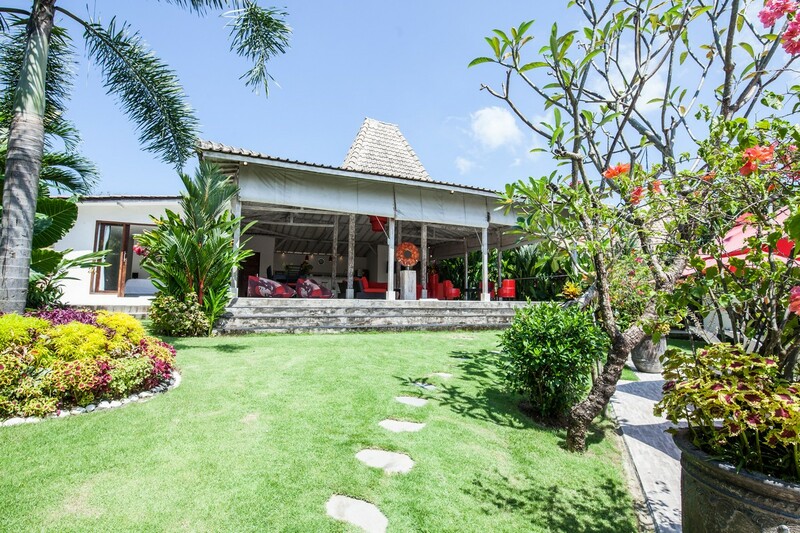 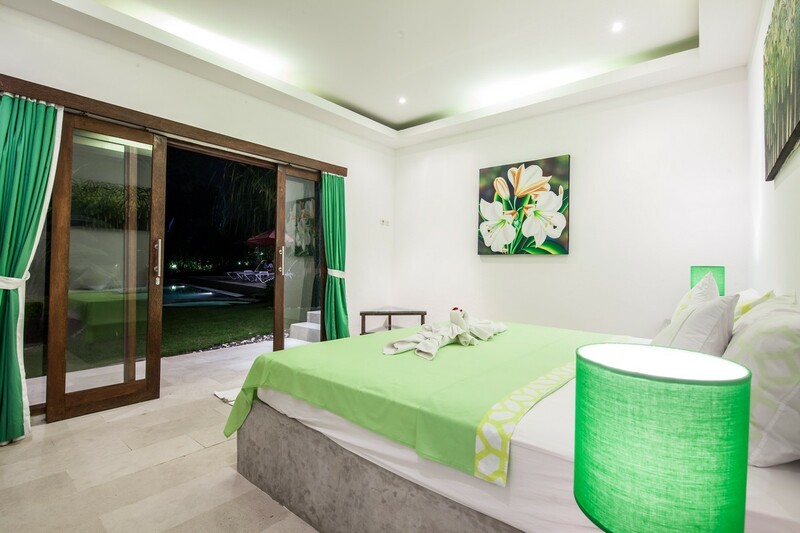 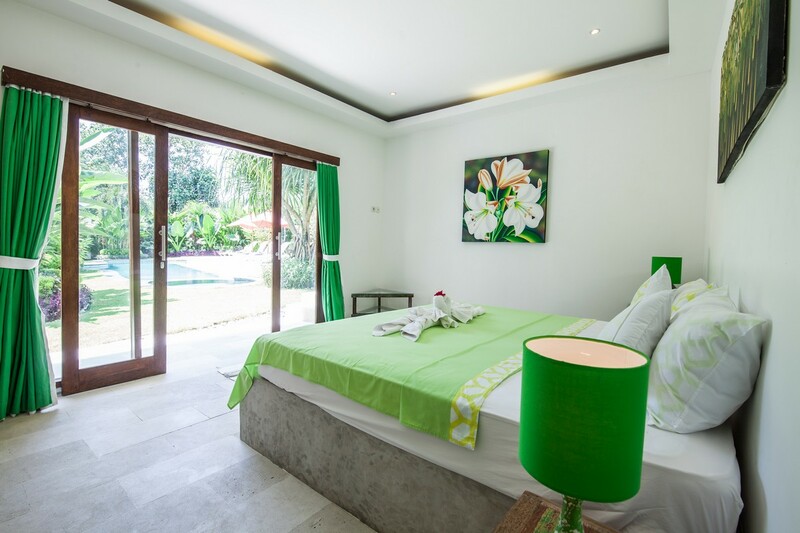 Perfectly built for group up to 8 people, modern tropical design with spacious garden perfect for kids to play around, while our green crystal private pool with pool deck and sun chair, perfect to get sun and be tanned. 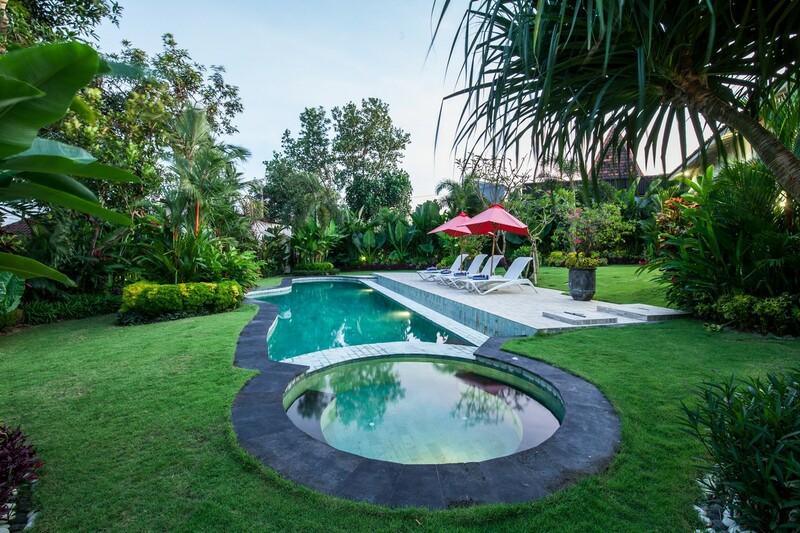 Less worries if you bring children we built also small pool in the side for little ones. 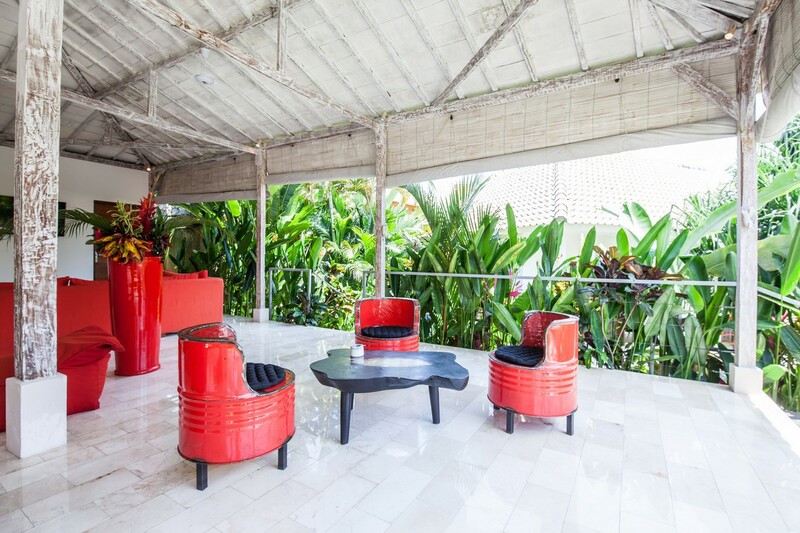 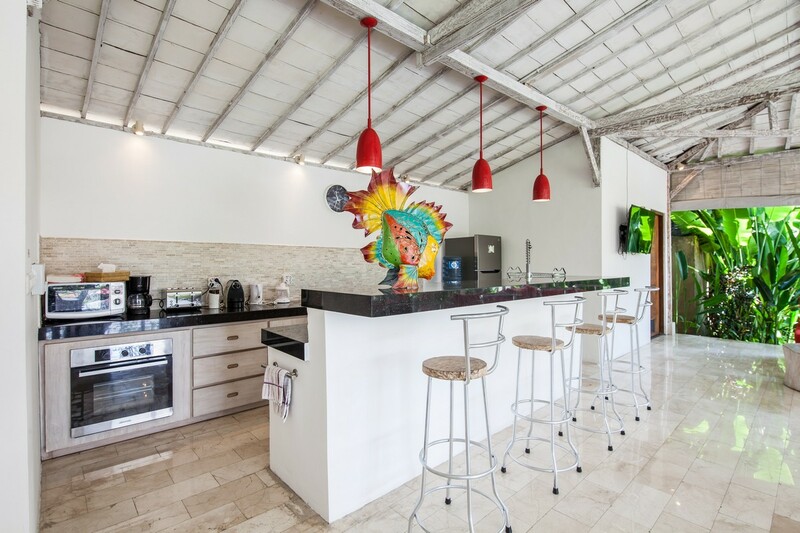 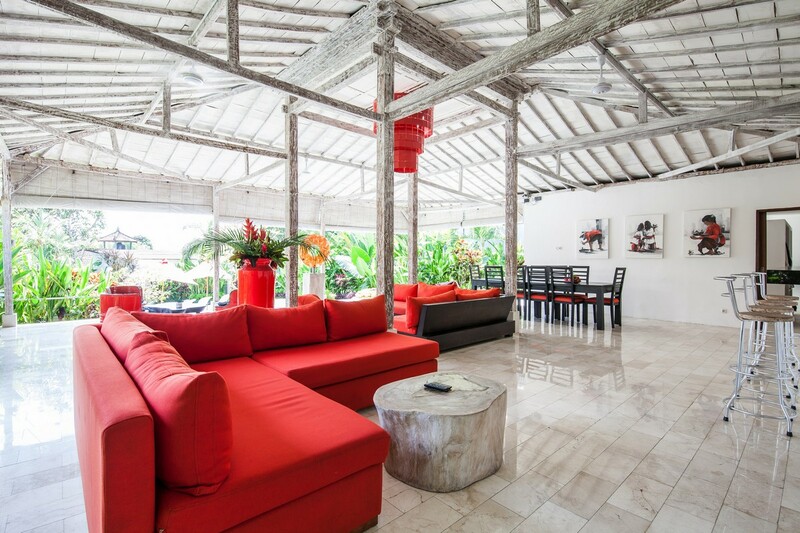 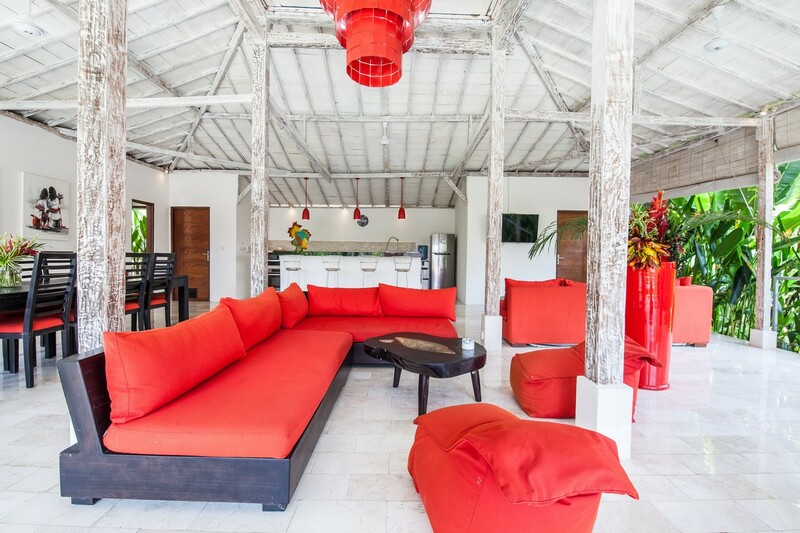 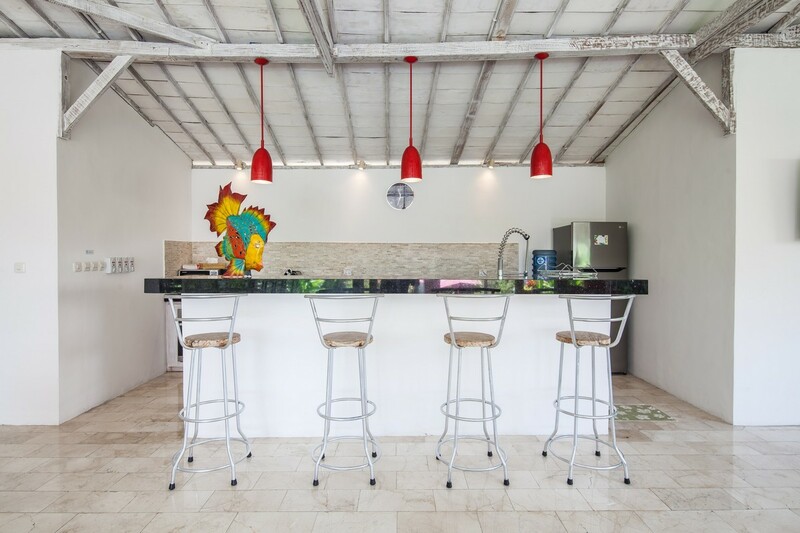 Along with direct access from the pool, our spacious and open living area with red ornament gives dynamic spirit perfectly for family and group to gather and having fun under one roof. 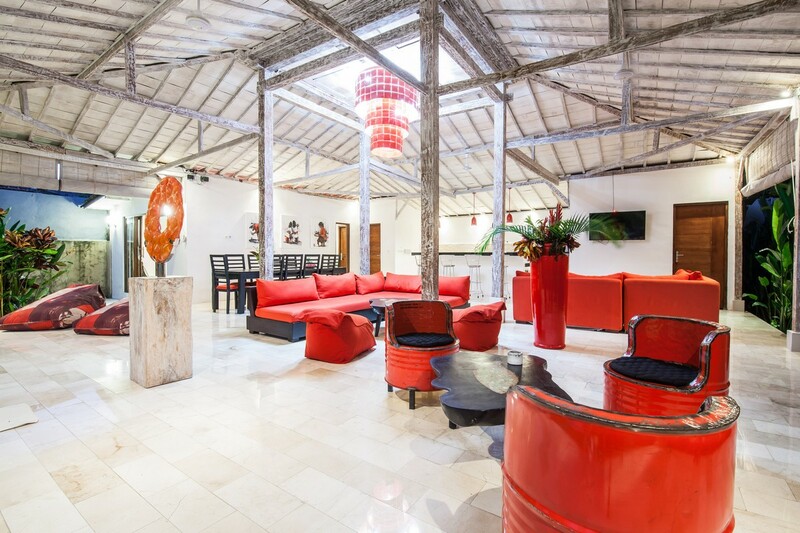 Lounge area with TV cable with over 90 channel, DVD player, stereo and yet 24/7 unlimited wireless internet cover a whole area for your complete services. 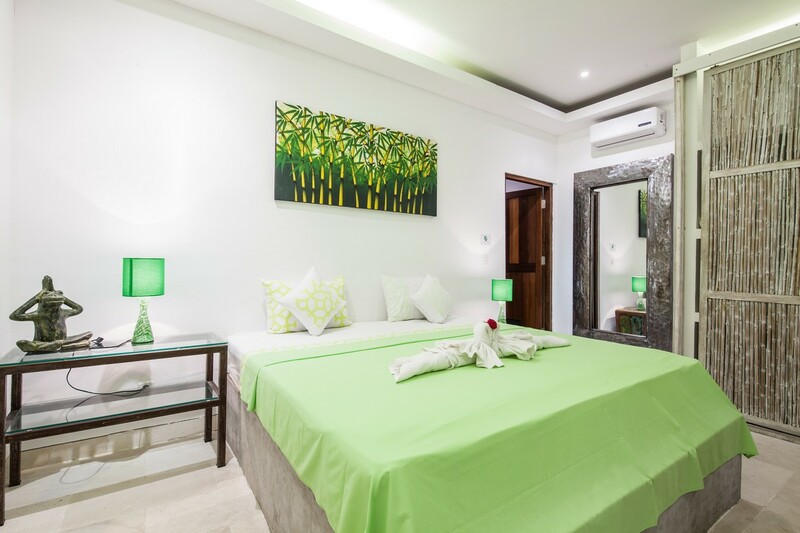 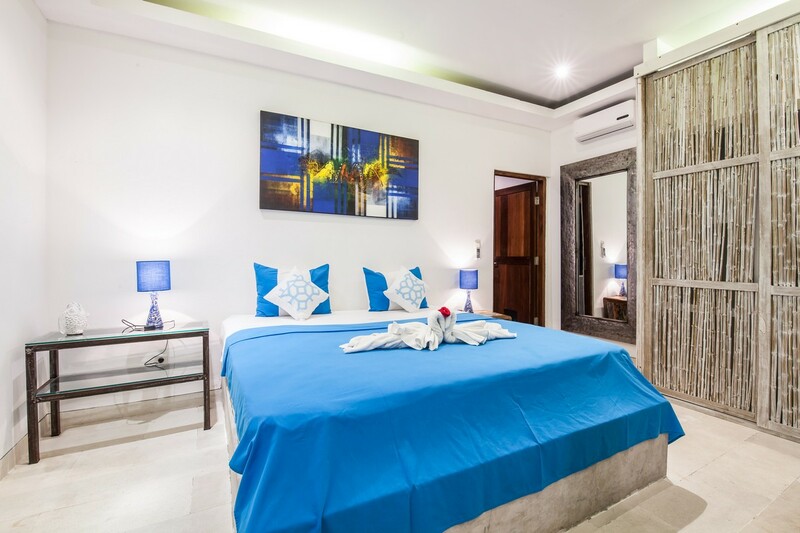 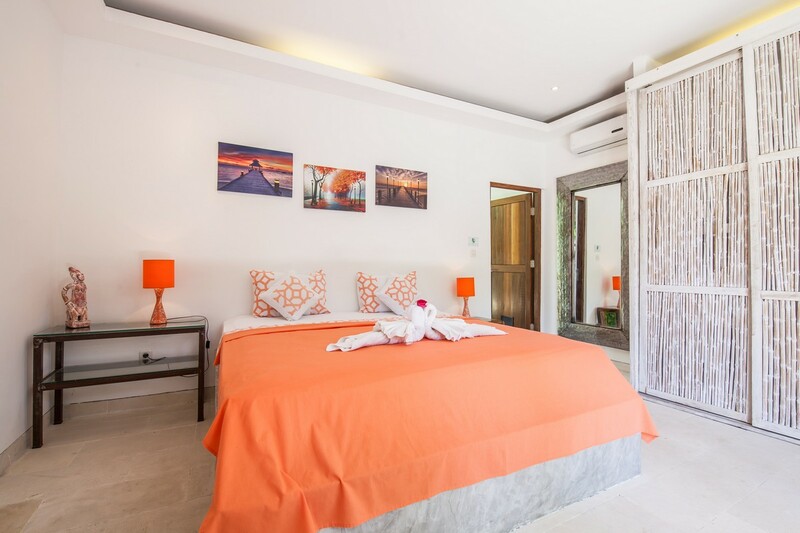 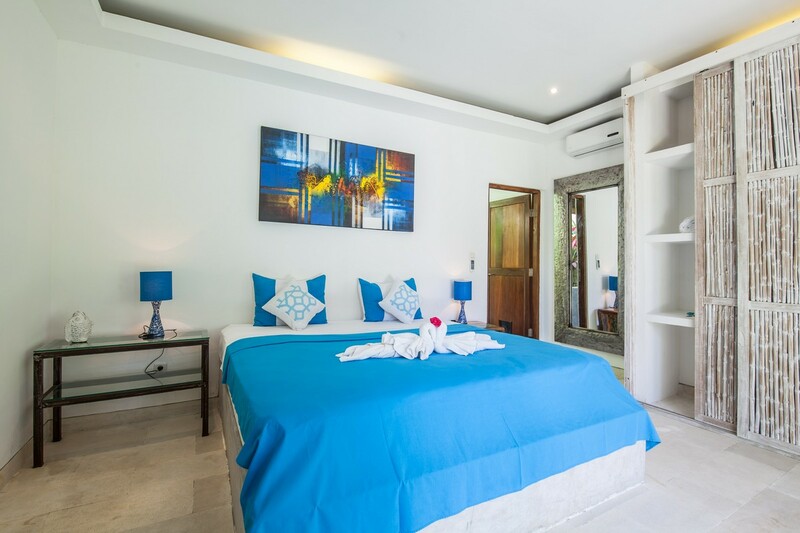 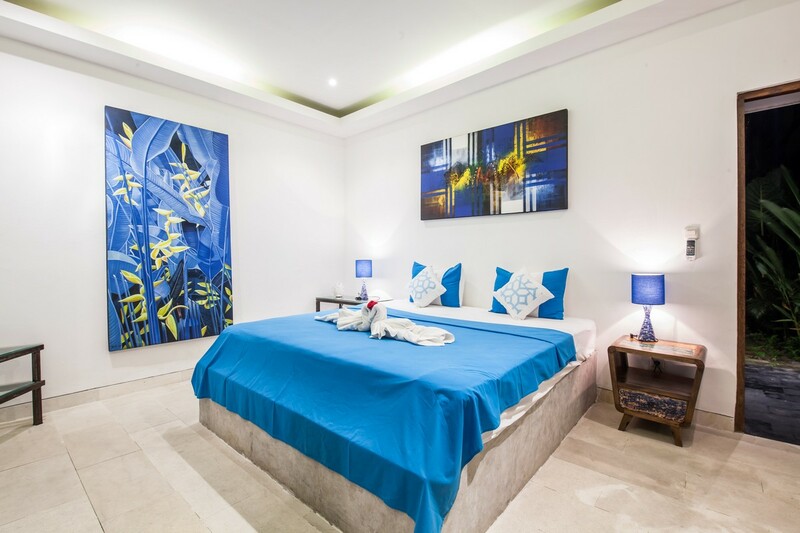 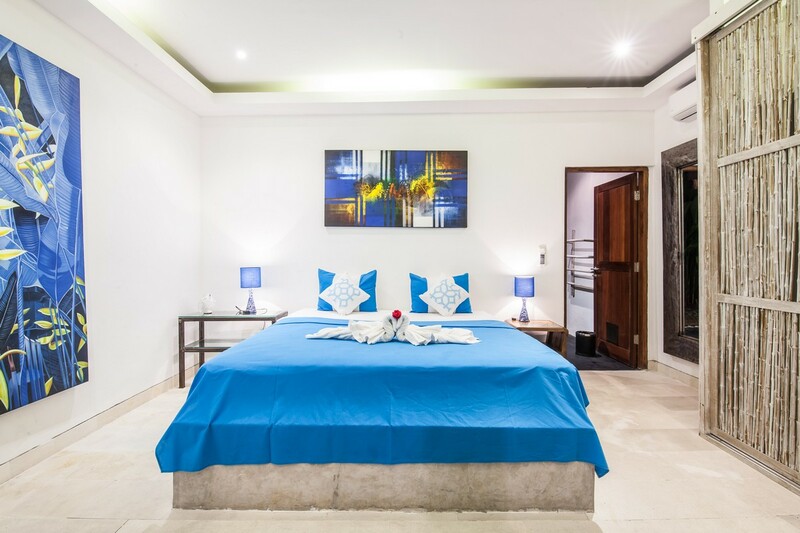 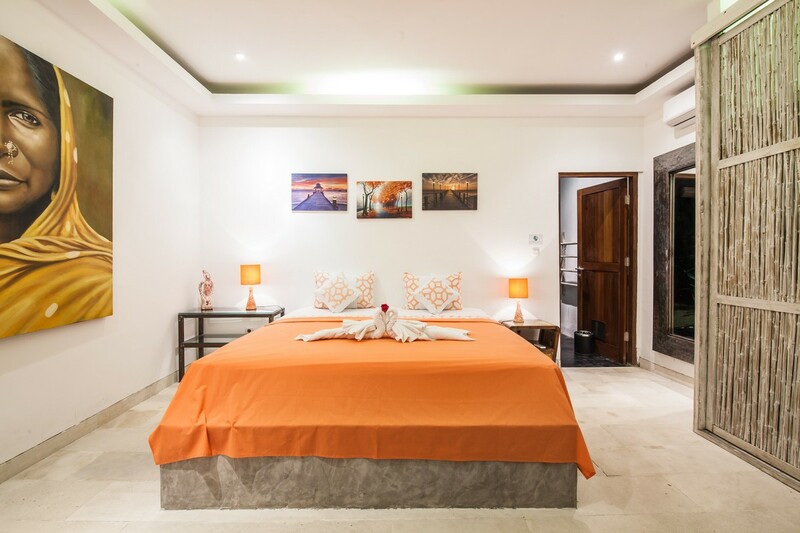 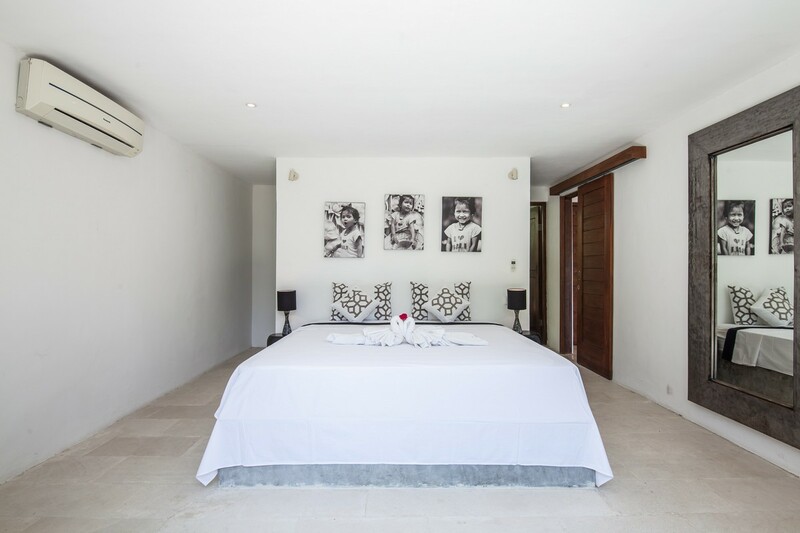 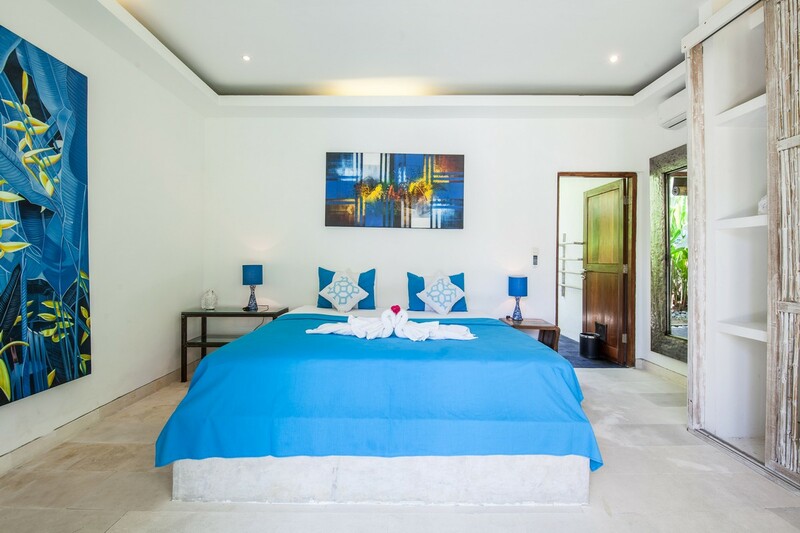 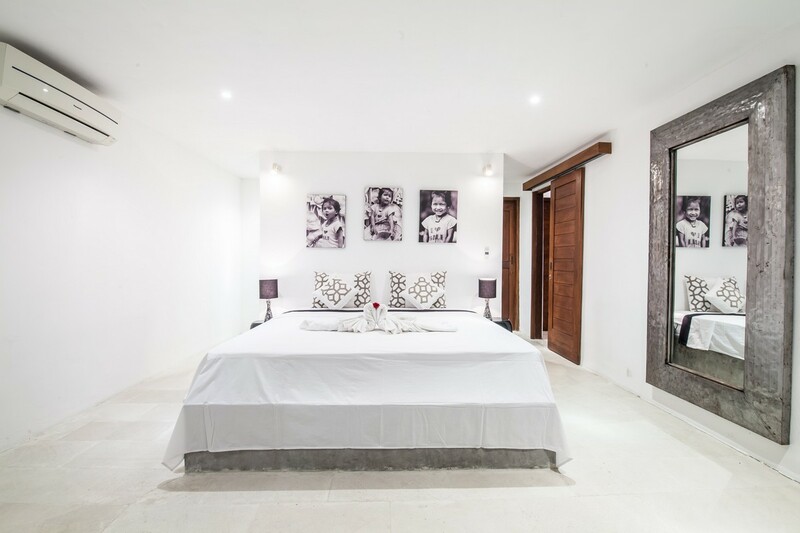 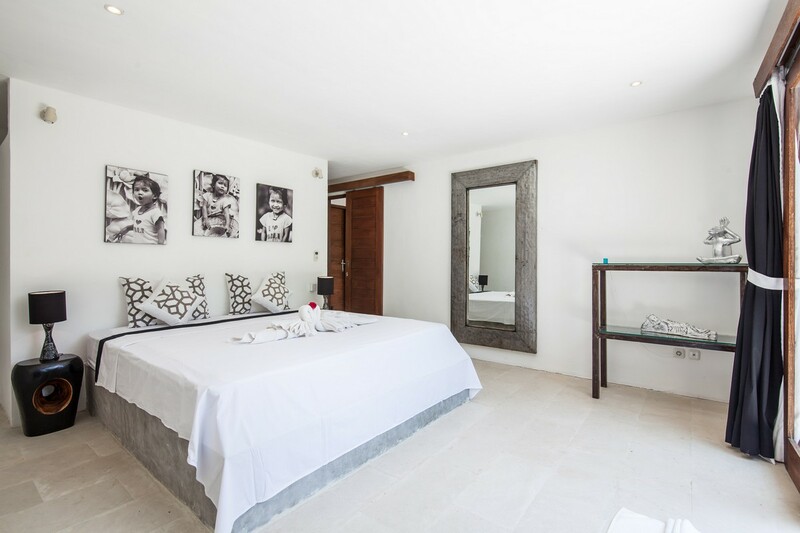 Each four bedrooms with en suited bathroom designed with different color and style, it simply offering you some fun and joy, careful chosen linens and pillow so all our guest can redeem maximum comfort. 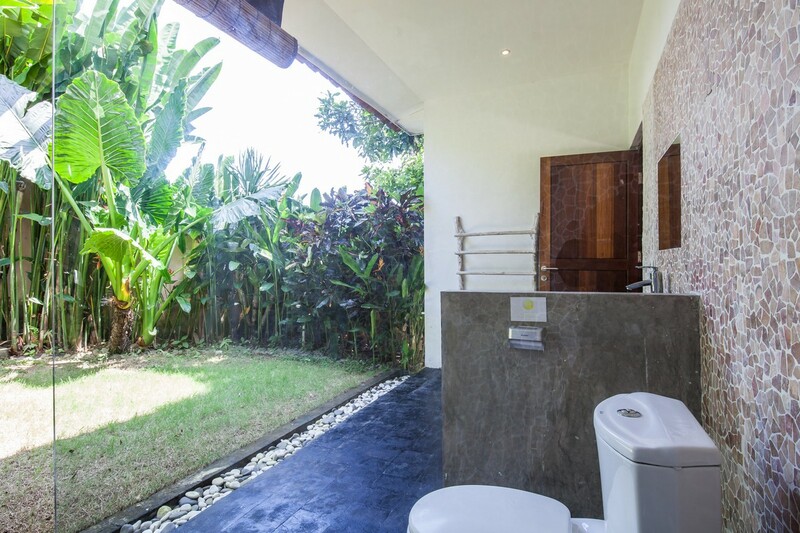 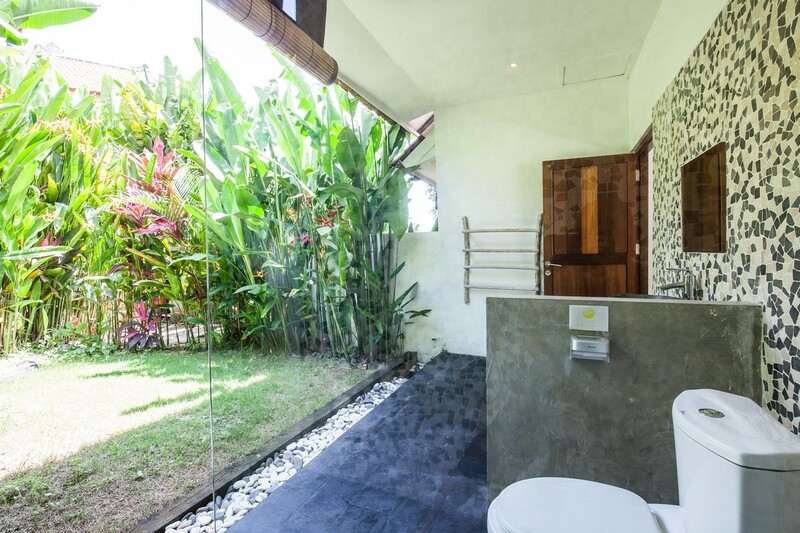 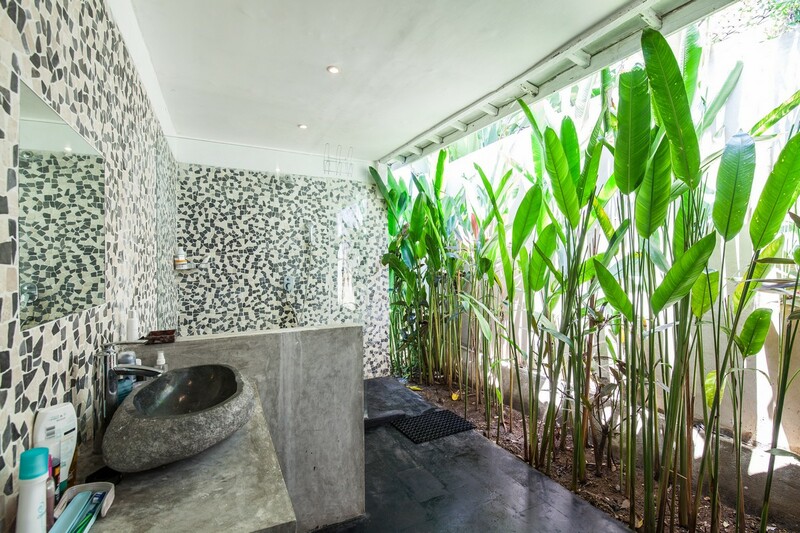 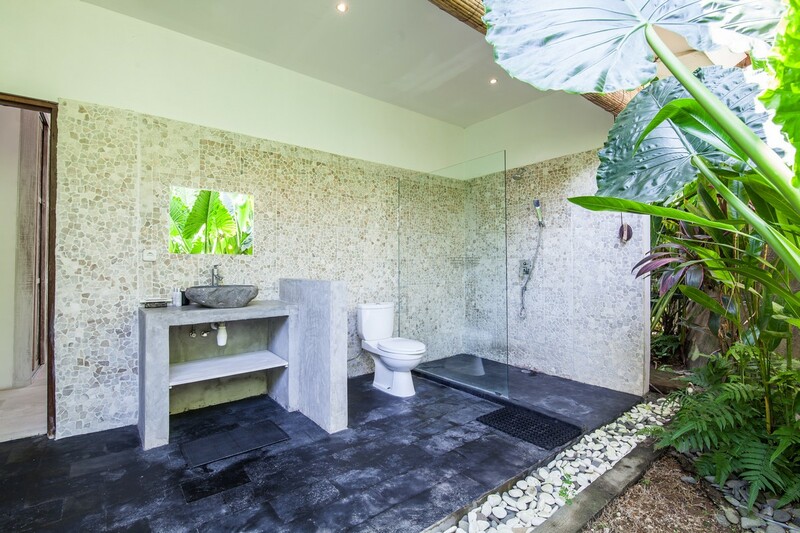 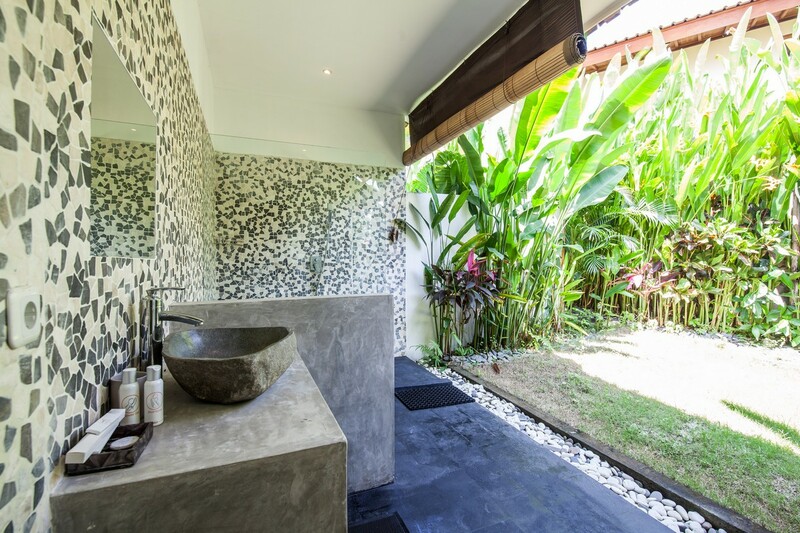 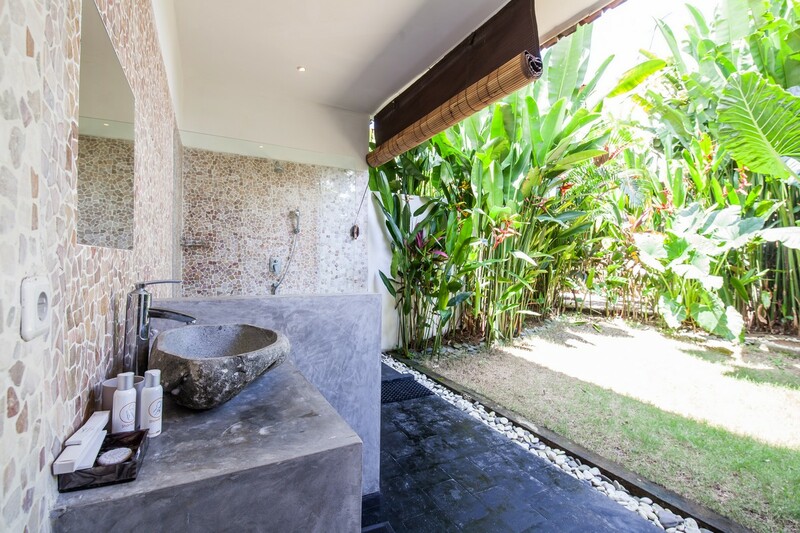 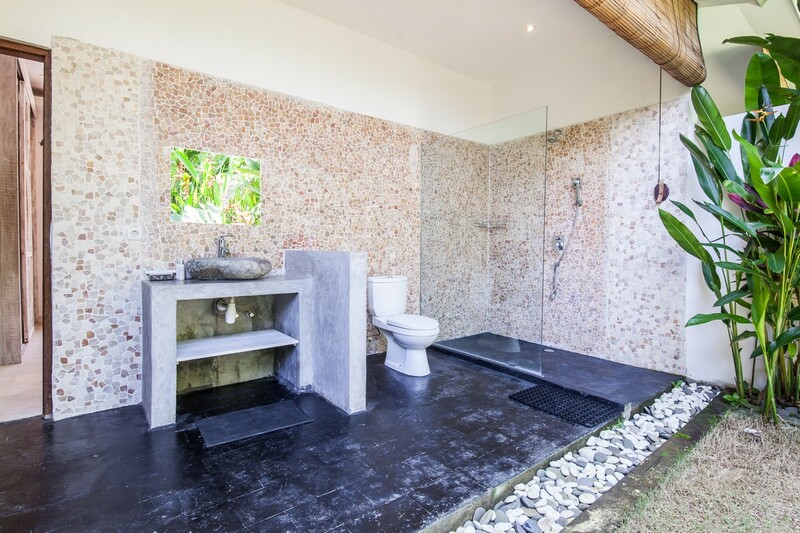 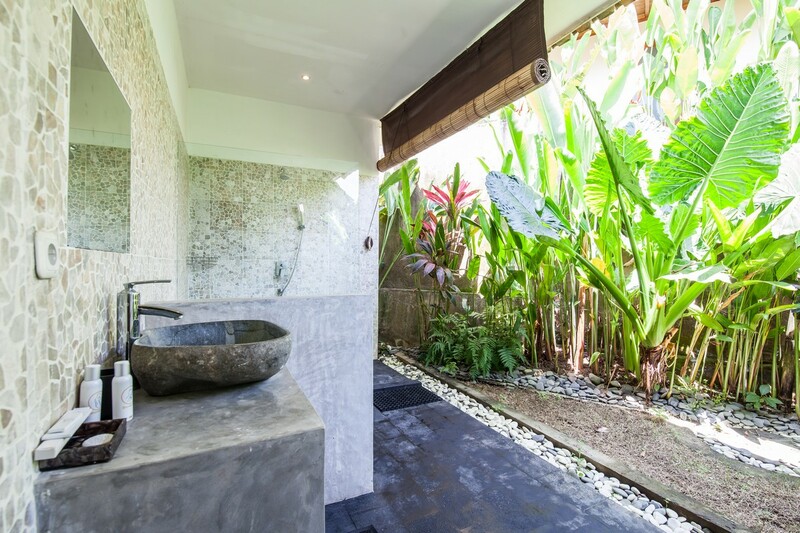 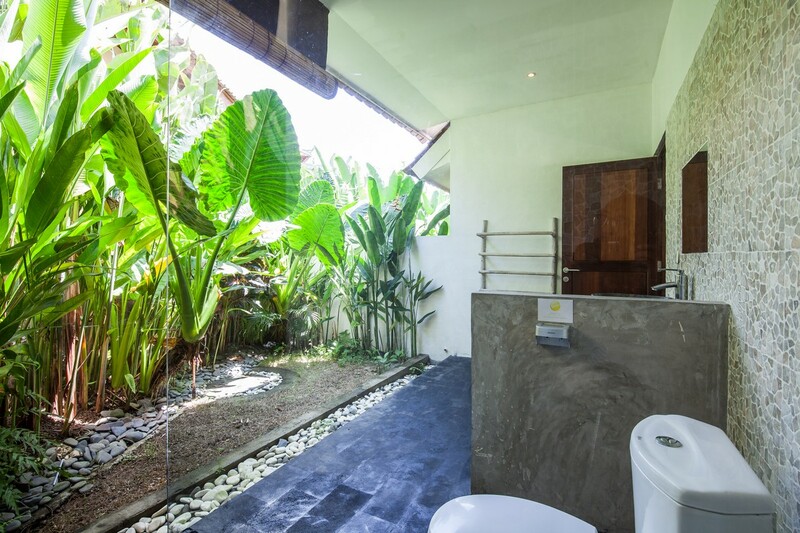 Our spacious bathroom with green plantation give natural ornament and luxury, who doesn’t like open space green natural bathroom? 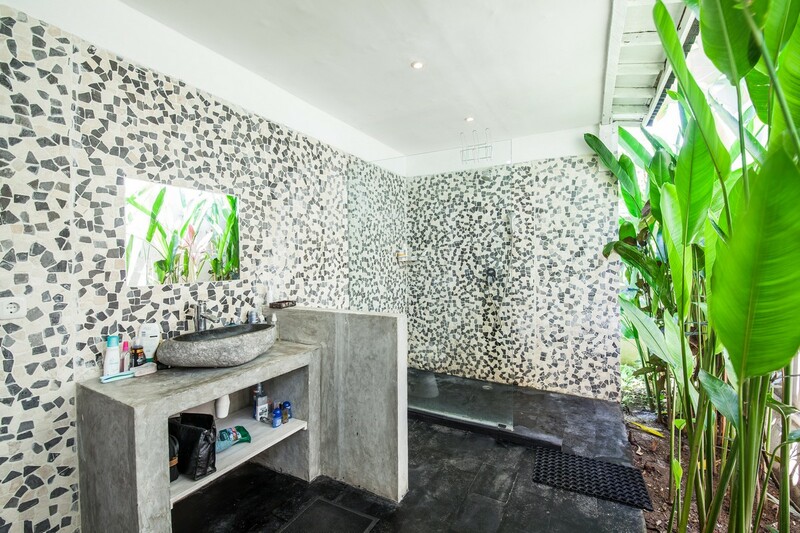 and having shower under the starlight ? 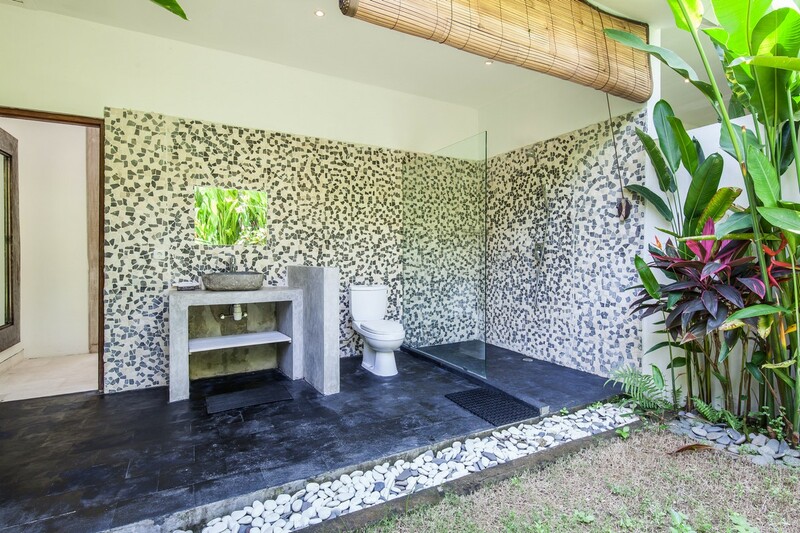 its simply charm design dedicated for you. 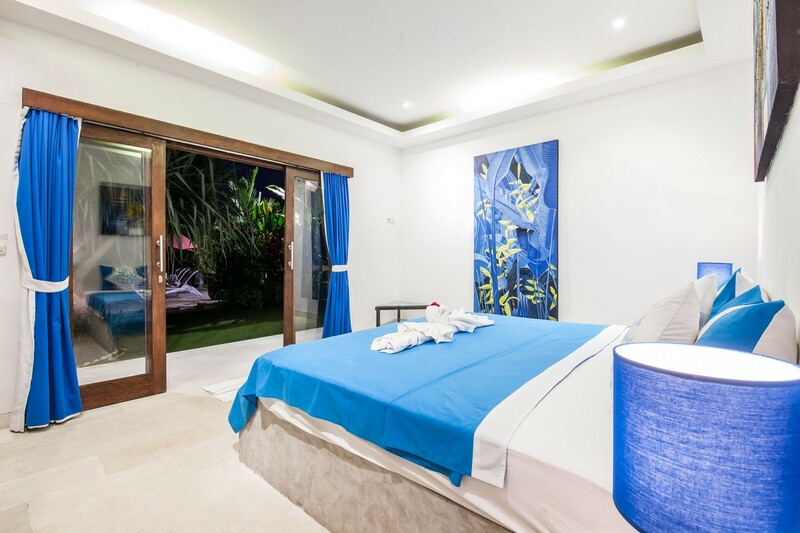 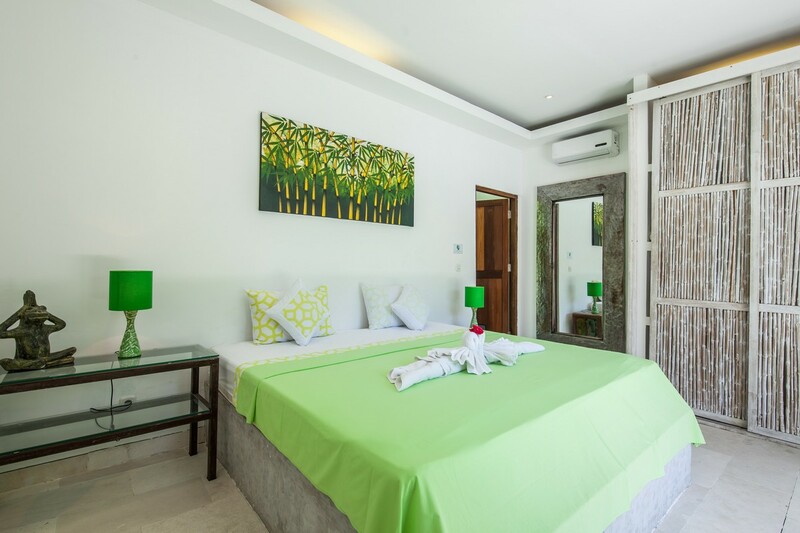 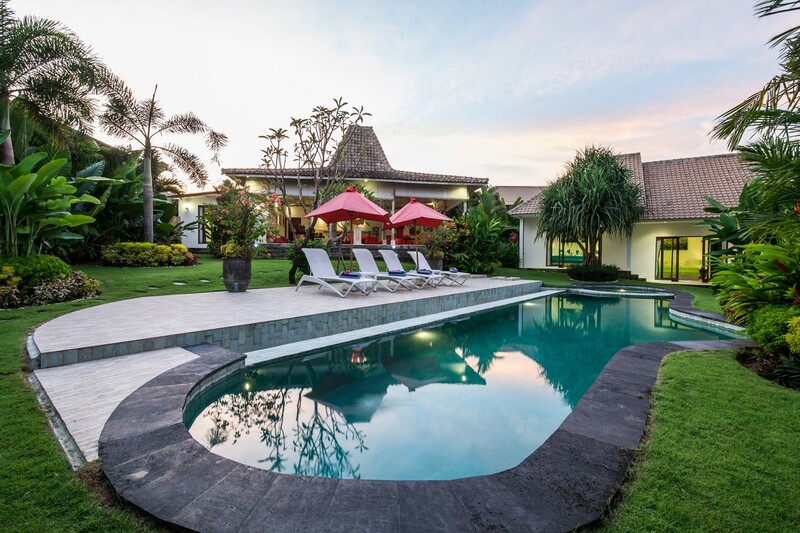 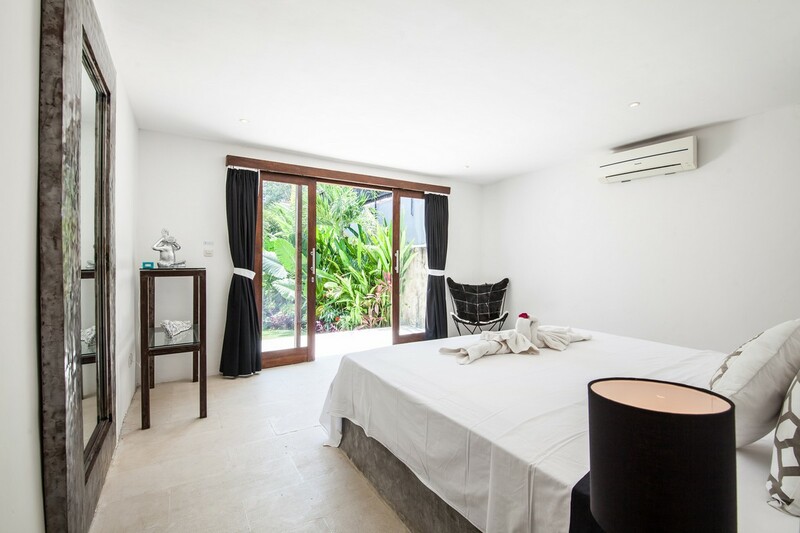 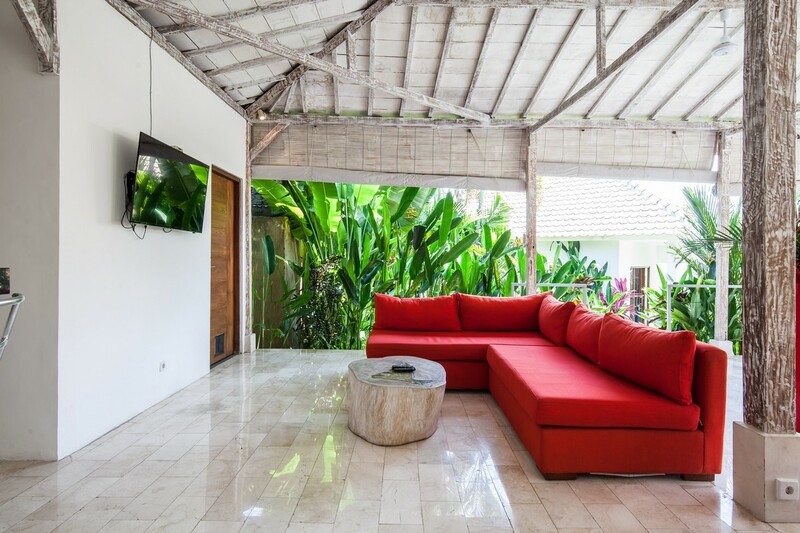 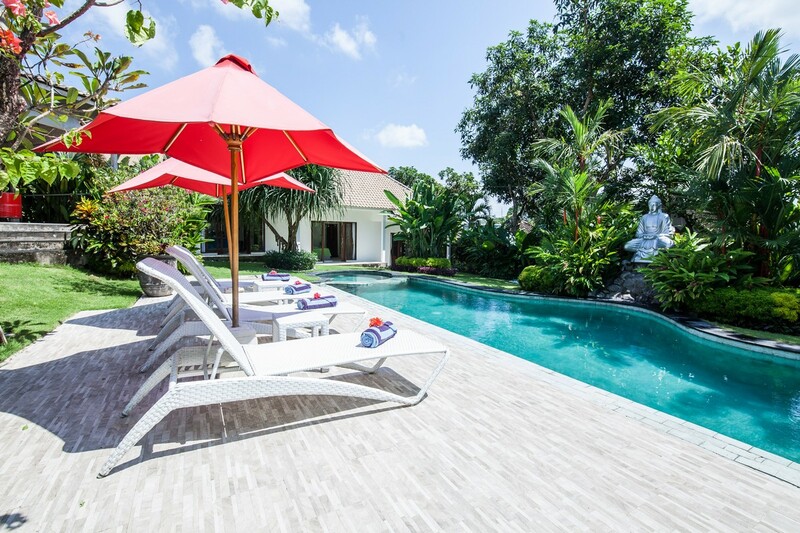 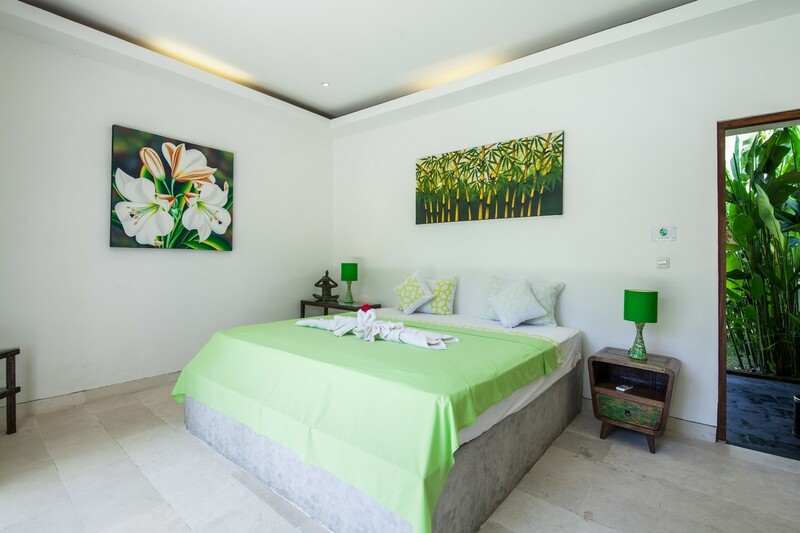 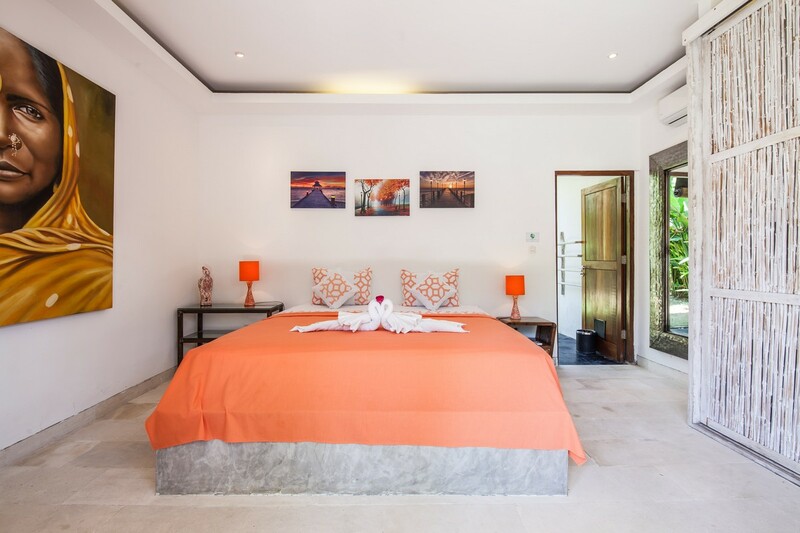 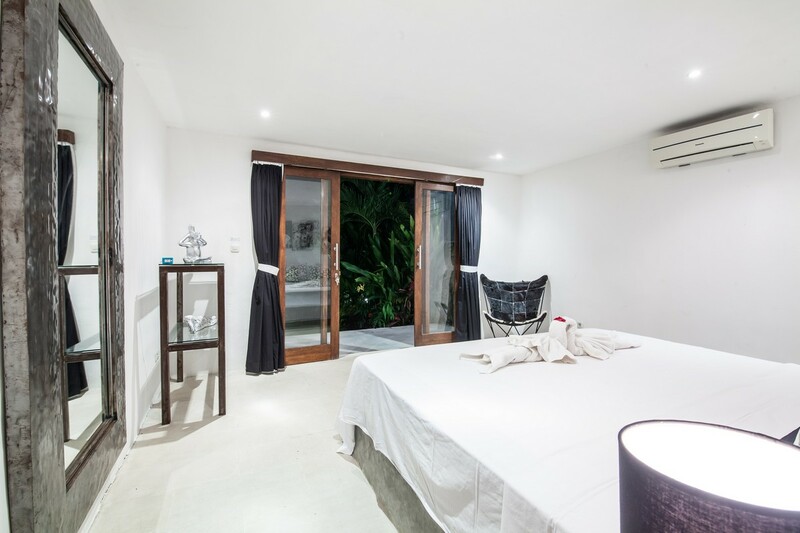 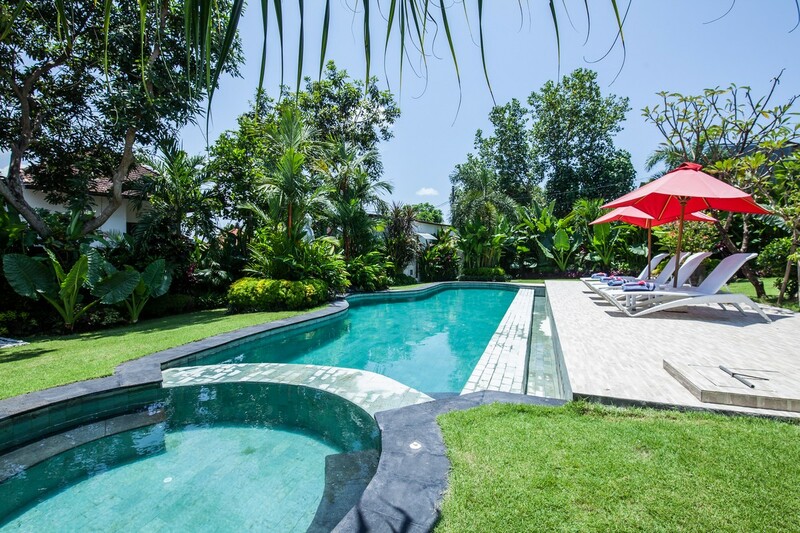 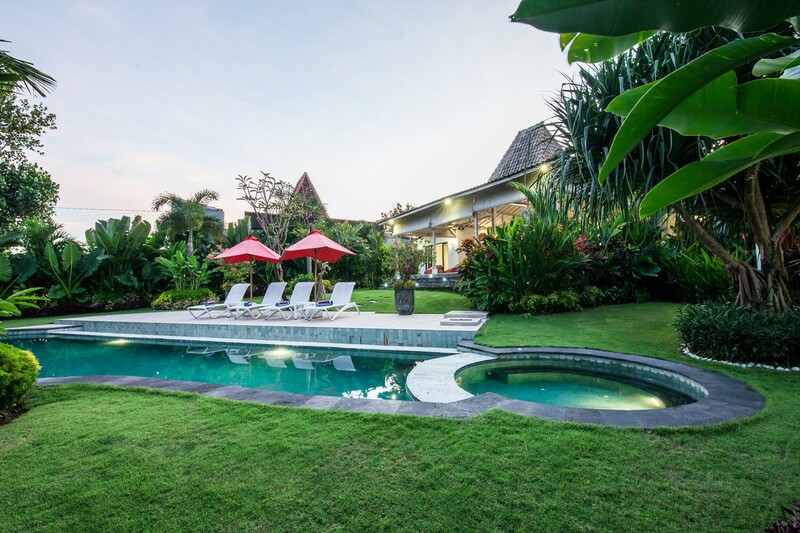 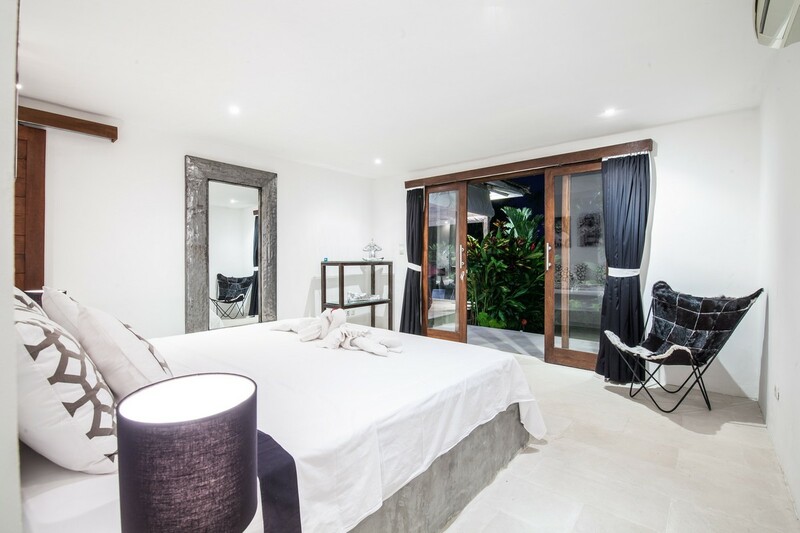 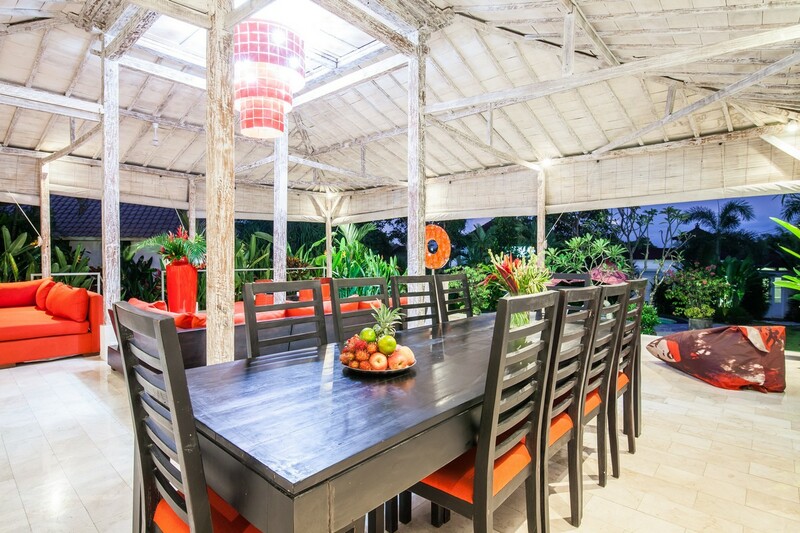 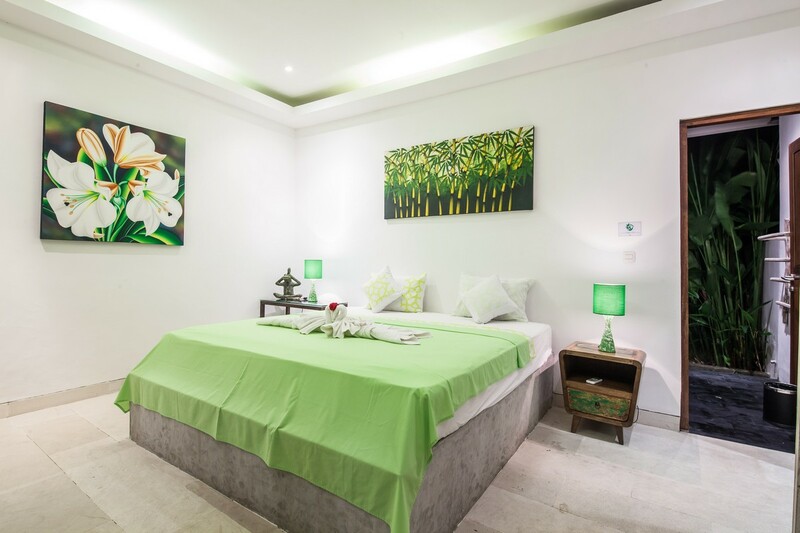 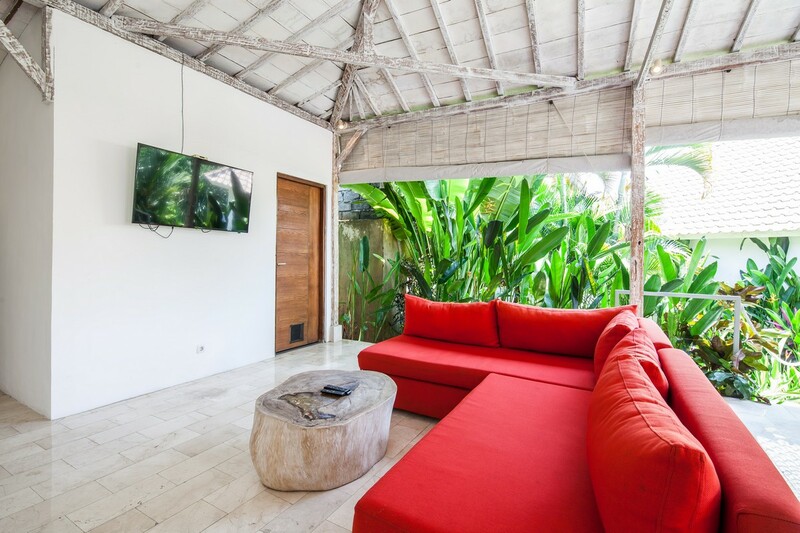 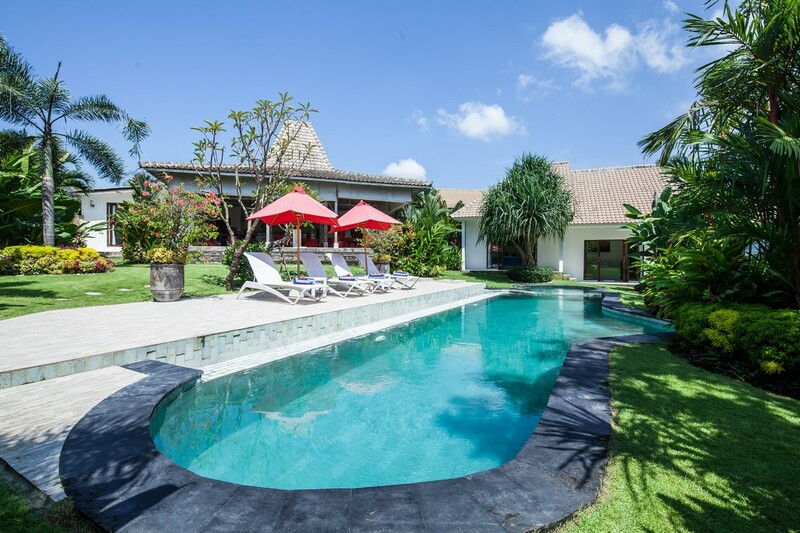 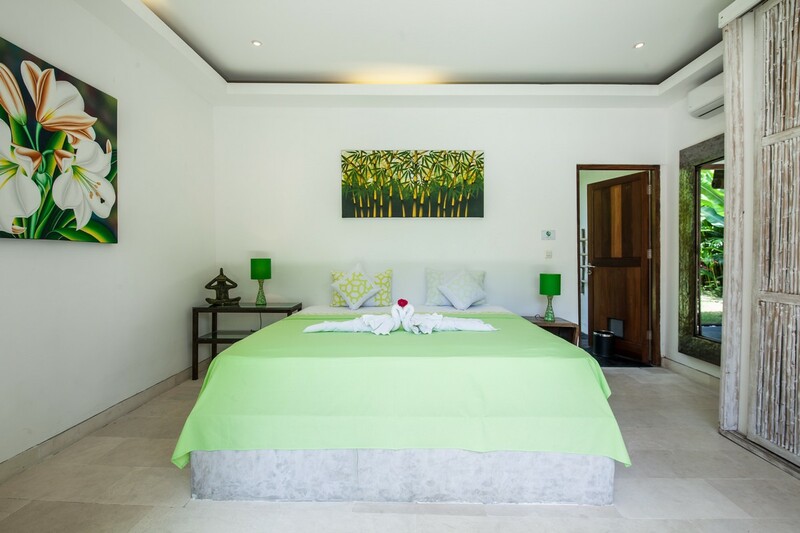 The benefit for renting private in Bali is that we always have someone who can take care and maintenance the house in professional way such daily housekeeping, gardener, pool attendant and on duty manager who will make sure that your stay will stay smooth from arrival until departure. 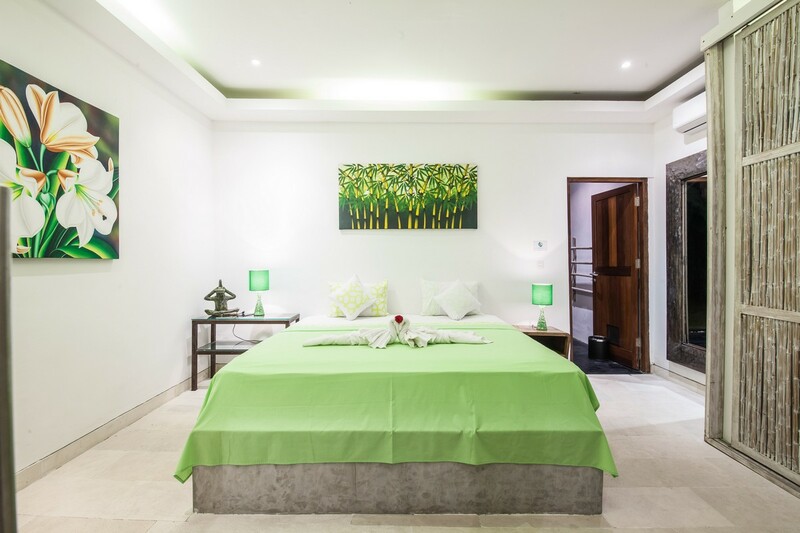 We will be glad also to offer you our extra service such private chef, laundry service and even baby sitter with small additional charge. 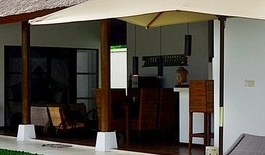 All what you have to do is ; let us know in advance. 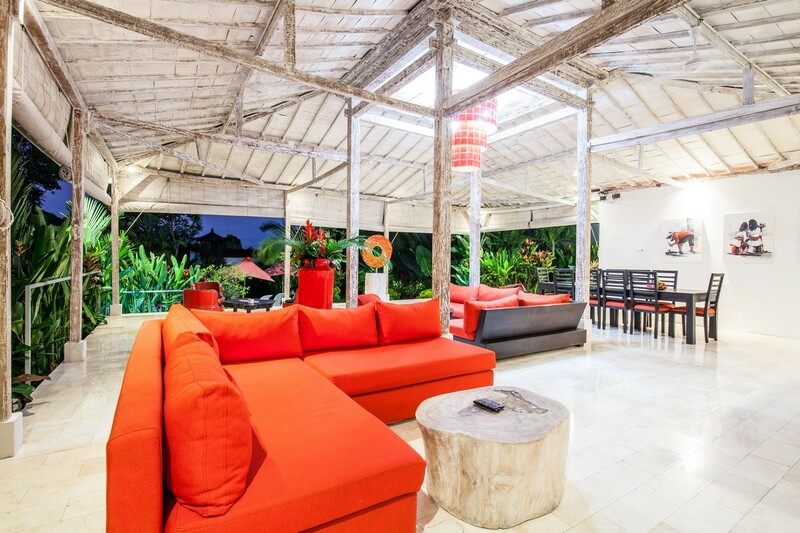 Don’t miss the moment by staying in Rumah Dago, affordable and yet meeting the luxury criteria. 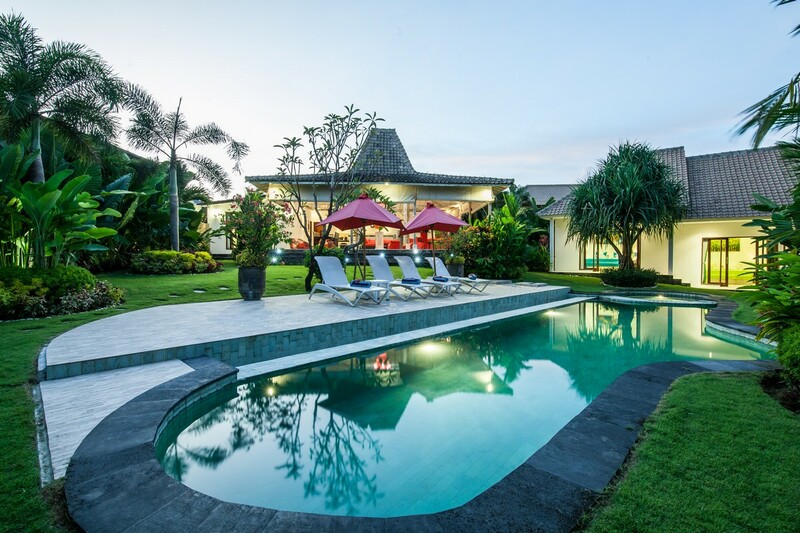 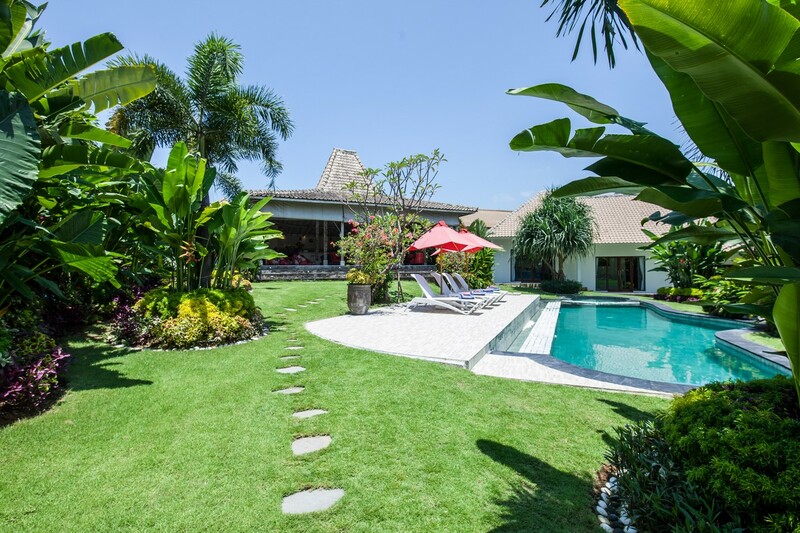 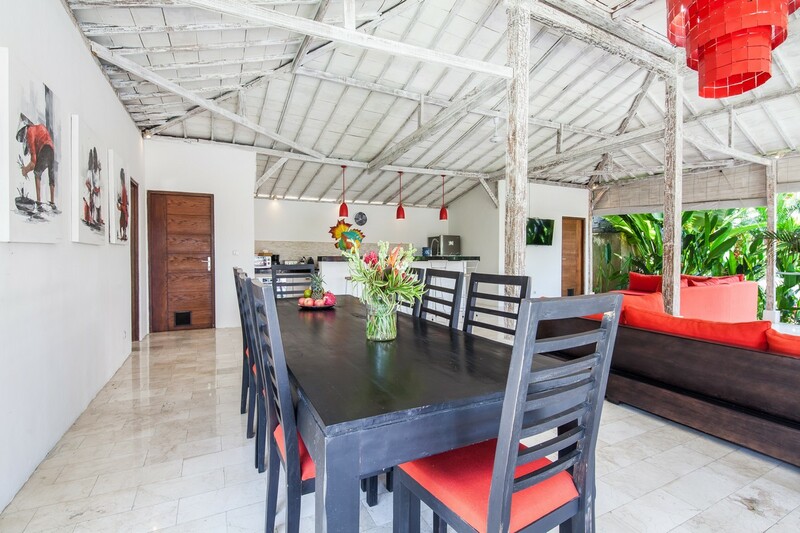 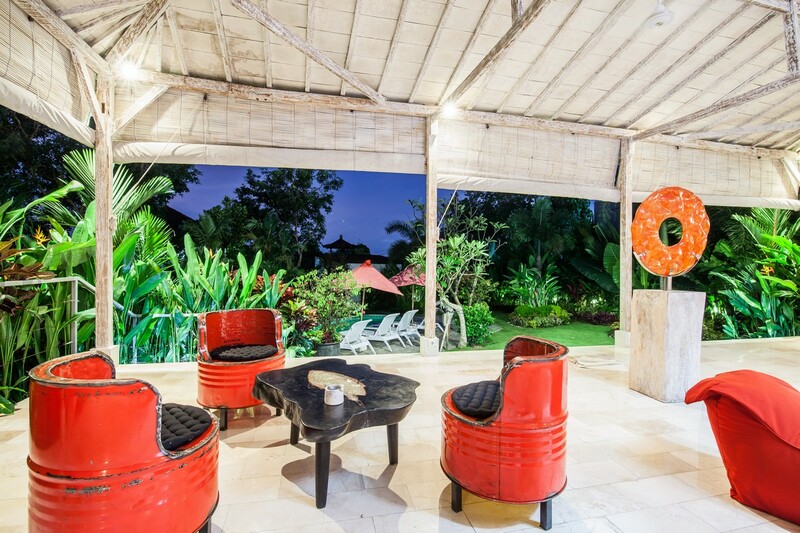 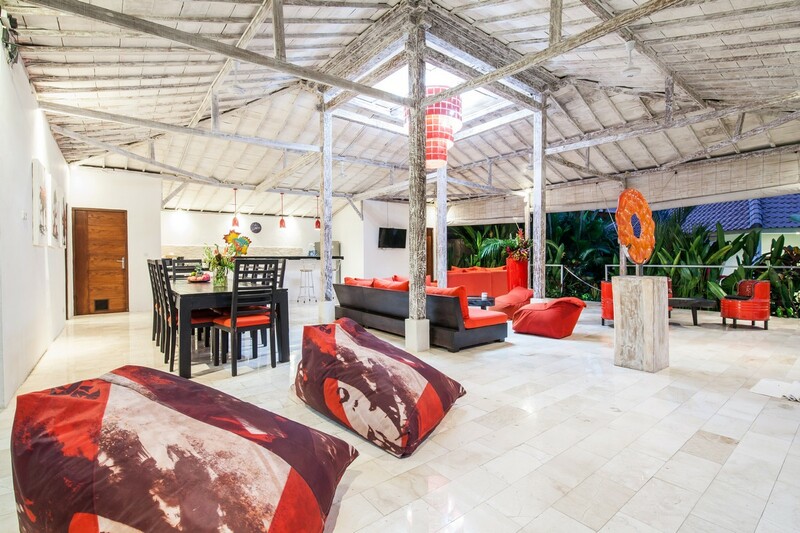 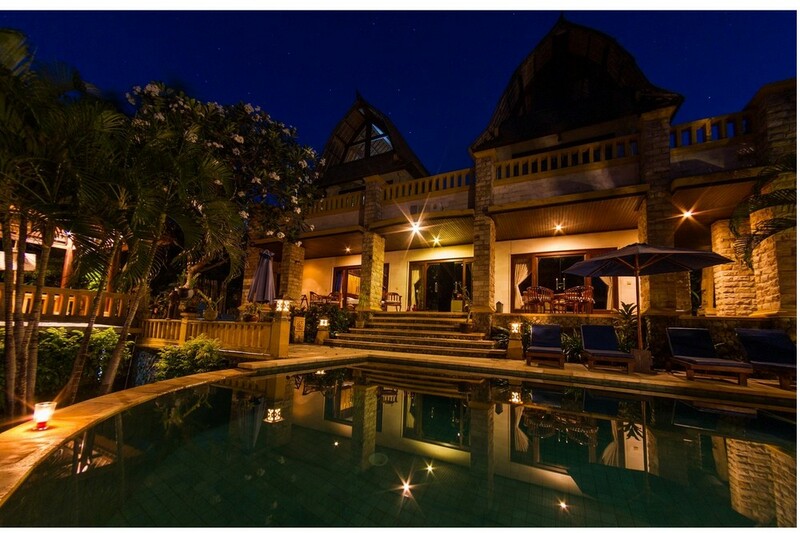 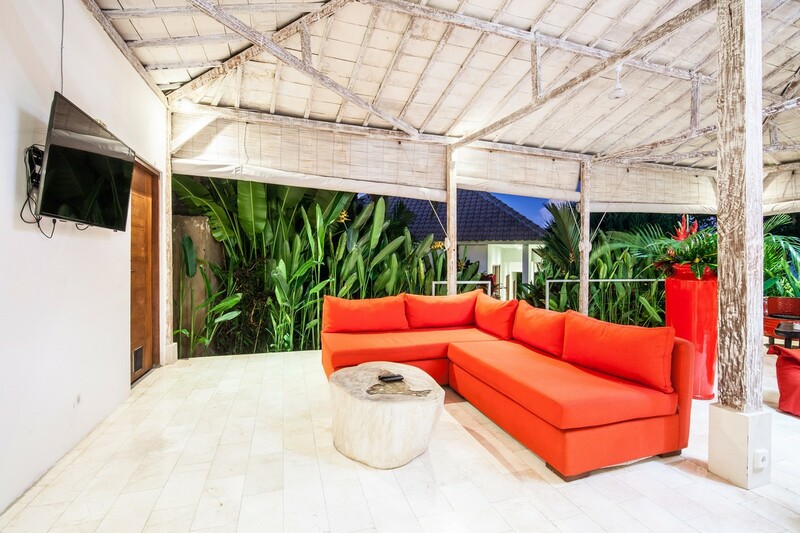 Be part of our guest and we look forward to host you in our villa for rent in Bali.